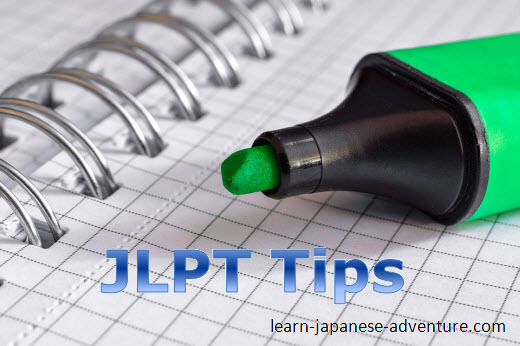 I have gathered some useful JLPT tips based on my personal experiences on taking all levels of Japanese Language Proficiency Test. I think the most important thing for preparation of JLPT is to do a lot of practices. I am not referring to doing practices just one or two weeks before the test but months before or even a year before. It will definitely help you pull through the test. Besides studying the required materials for vocabulary and grammar, another thing that I highly recommend is to practise on past year JLPT test papers. Although the test format has already been changed, the content is still relevant. Some people are afriad of this section, in particular the westerners. Probably because there are many vocabulary questions based on kanji characters which they are weak in. This is especially true in the higher level tests (N1 and N2). There are no short cuts for this section and the only advice I can give is nothing but hard work. Make it a habit to memorize at least 10 new words per day. If you can memorize more words the better. Memorize not only the meaning of a word but also how it is read (i.e. its reading in hiragana), because the test also consists question on how the word is read. I know this is an extremely tedious and boring task. But hey, it works! If you are persistent enough, you can possibly increase your vocabulary by over 3000 in a year. I think that's fantastic. 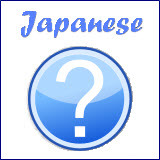 The more Japanese words you know, the higher the chance of answering the vocabulary multiple choice question correctly. Grammar is the easier section in the test. This section tests how well you understand the grammar required for the level you are taking, in terms of meanings and usage. The usage refers to how each grammar is connected in a sentence, whether to use dictionary-form, te-form, present tense or past tense, etc. 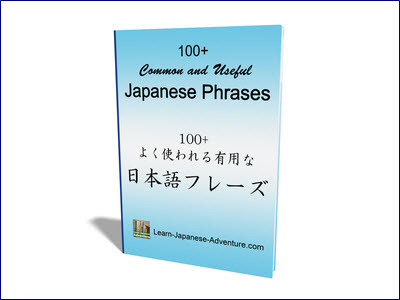 So long you study and understand the meaning and usage of each grammar well enough, as well as practise a lot on the past year JLPT grammar questions, it is not difficult to score well in this section. In addtion, having a good foundation in grammar also help you to understand the articles better in the reading section. The reading section is more relevant to the higher levels (N1 and N2). Many people are weak in reading and their total scores were often pulled down by this section because it carries the most marks. Probably there are many kanji characters in the articles that either they were not familiar with or have not seen before. Besides, people tend to spend more time on this section and later found out they have little time left for other sections in the test. For this, I strongly recommend you to do the grammar and vocabulary sections first as the required time for those sections are more or less fixed and easier to complete. The reading section should always be left until you have completed the other sections. If you are slow in reading, my suggestion is do the shorter articles first. This will mean to begin reading and answering questions from the back as usually the first 2 articles are the longest and contain the most questions. The key in reading is not to understand the whole article, but to understand what the questions are asking for. Therefore, I suggest you read the questions first. Most of the time, the part related to the question will be underlined in the article and the answer can be found either a few sentences before or after it. It is also essential to have a strong foundation in your grammar because if you don't understand the grammar well, you can easily misunderstand the actual meaning of the key sentences which contain the answer in the article. Listening is considered the most difficult for most people because during the test you have only one chance to listen to each question and must answer it immediately, even if you missed the question or don't understand it at all. And there is no time for you to come back to the previous questions that you have missed. Unless you are living in Japan, the only way to improve your listening skill is to listen to more Japanese, either through internet or CDs. Besides listening to Japanese news and watching dramas (recommended for higher levels), the other thing you can do is to listen to CDs of the past year JLPT tests MANY times. Listen to the CD for at least 5 times without looking at the scripts. After reading through the scripts once, listen to the CD for at least another 5 times. Listen to the CD together with the scripts for another 3 times. Without looking at the scripts, try to read out loudly while you are listening for another 3 times. Although the above method is very time consuming, it is a very effective way for you to get used to the type of questions being asked in the test. 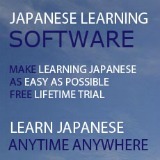 On the test day listen to CD of some past year JLPT tests to make your ears "adapt" to the Japanese dialogues. Unless you are living in Japan, there is hardly any chance that you can listen to Japanese every day. Therefore it is wise that you can listen to some Japanese dialogues to let your ears get used to that before going for the test. Or else it will usually take 2 or 3 questions before you start to adapt to Japanese dialogues in the listening questions. The above are the some advices based on my personal experiences of taking all the tests in the past few years. Instead of treating that as JLPT tips, I think they are more like my personal suggestions to all Japanese learners who want to take the tests.